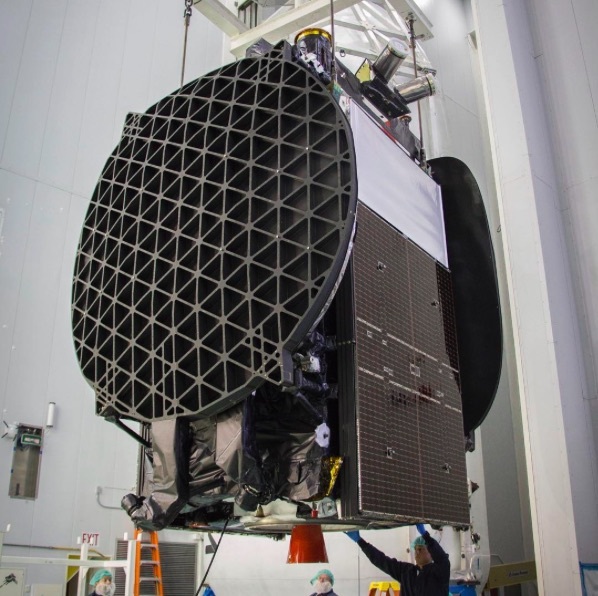 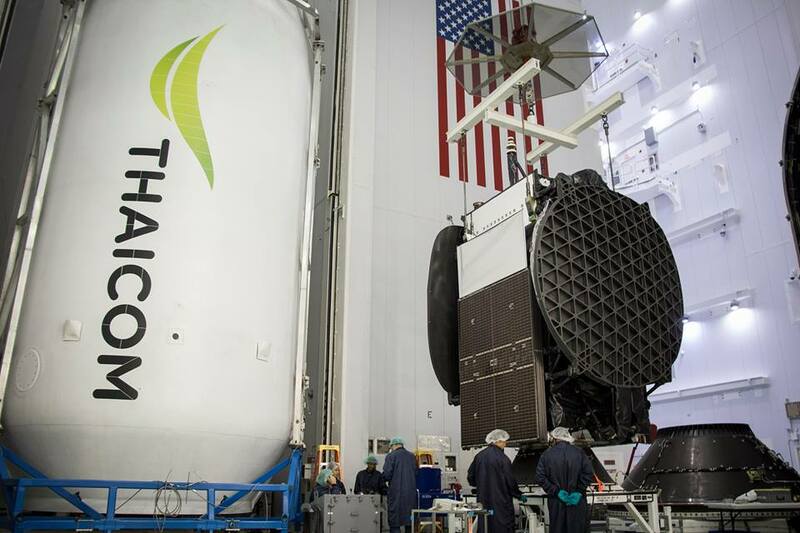 A Thai communications satellite is fastened to the top of SpaceX’s 229-foot-tall Falcon 9 rocket for launch Thursday. 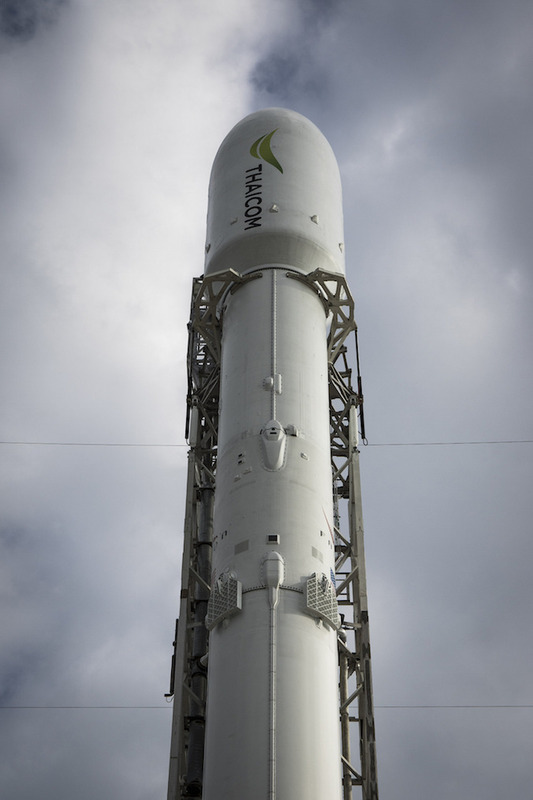 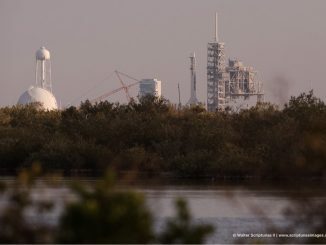 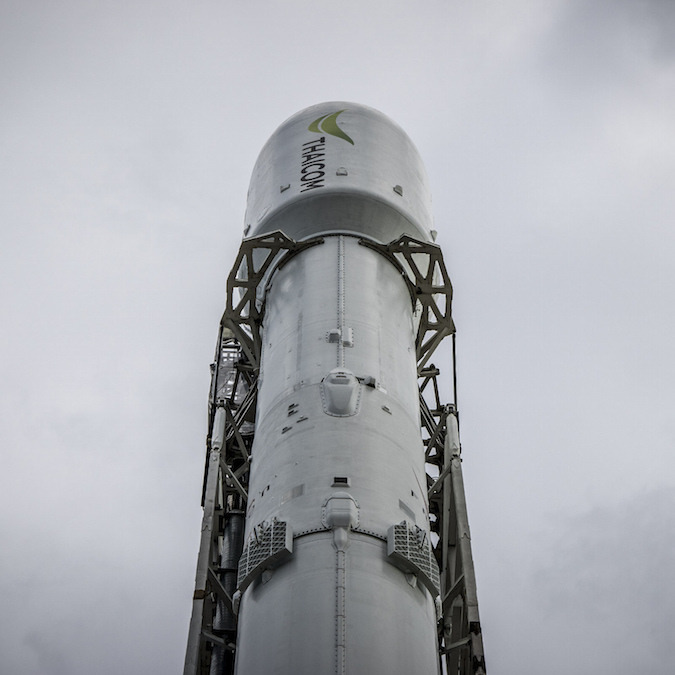 See photos of the Falcon 9 and Thaicom 8 being prepared for liftoff. 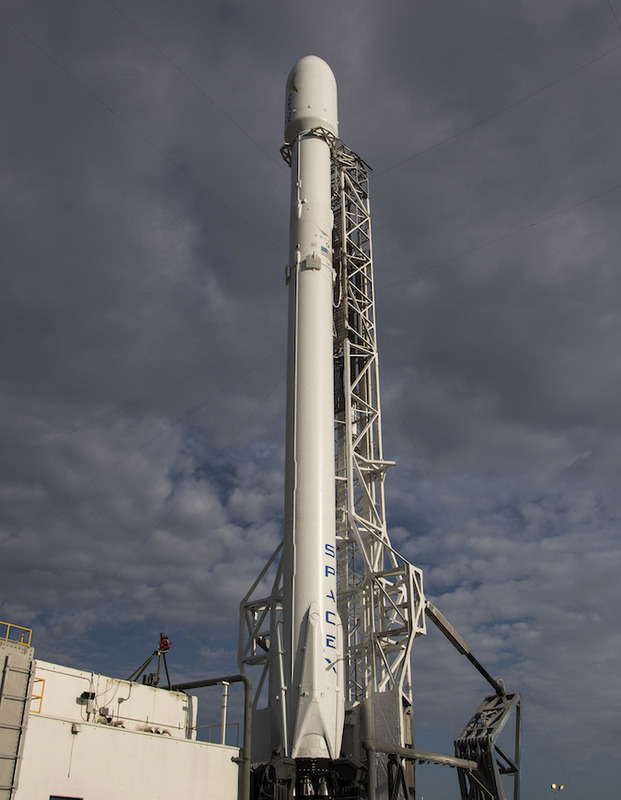 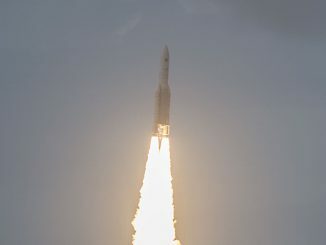 Launch is set for 5:40 p.m. EDT (2140 GMT) Thursday from Cape Canaveral’s Complex 40 launch pad. 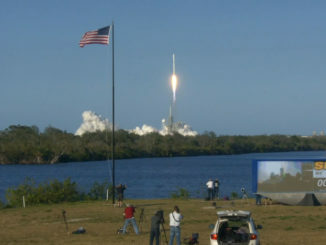 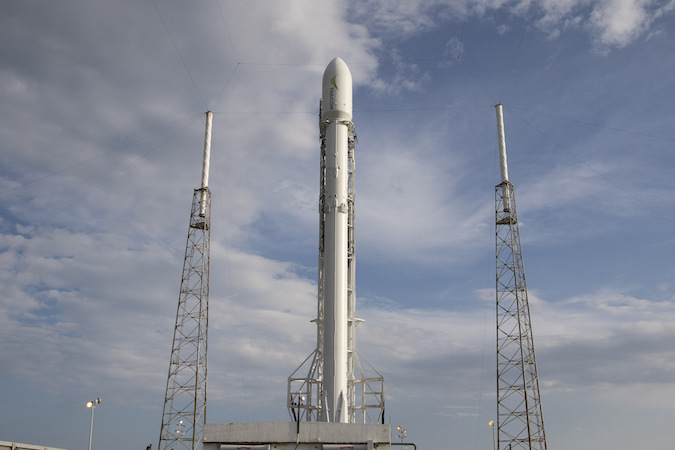 It will take 32 minutes for the Falcon 9 to put the Orbital ATK-built Thaicom 8 satellite into geostationary transfer orbit, and about 9 minutes for the Falcon 9’s booster stage to return to a landing at sea.